Posted on January 9, 2013 December 9, 2016 by James CalbraithPosted in Books, PublishingTagged advertise, advertising, adverts, amazon, book advertising, book promoting, books, ebook, ebook advertising, ebooks, free, indie, kdp select, kindle, Kobo, marketing, promo, promoting, promotion, publishing. $5 Book Promotions. $2 Marketing/Advertising. High quality, low cost. A lot of the free ones are NOT free. James Calbraith has provided us with a blog post that contains links to 90 Sites to advertise our books. Thank you so much James! Your work and generosity is greatly appreciated!! going to have to check with my own list to see how it compares. A really helpful list – sharing this in case it helps. Great list of sites to promote free book days, via James Galbraith. This article by James Galbraith was written in 2013 and it’s a bit out of date. Readers In The Know (www.readersintheknow.com is much more modern and current for sites to promote your book. Also see http://www.BookwormWorld.com and they will exchange book reviews for free as well. I actually update this regularly, 2013 is just the date of the first post. http://www.bookwormworld is a new site and does great free promos for books and is a source of free kindles and sends out a weekly Newsletter as well to help book promos. Will give you a review as well but right now only doing review exchanges. Hi, I would like to recommend my site http:\\www.booksliced.com it is great for sending you a daily newsletter of free Amazon ebooks or creating custom alerts. Authors can send their book submissions for free. Thank you. Target your Kindle readers for only $5. Discount Books Daily is a free email subscription service that promotes deeply discounted ebook deals to over 35,000 members. Our members receive customized, clutter-free weekday emails. Sign up on Fiverr, and we look forward to hearing from you! We include all retailers in our promos, not just Kindle. We promote to the UK, US and Canada. We don’t require any reviews for new releases. Thanks very much. As a newbie this will help me greatly. Thank you for such a comprehensive list. I wonder if you might have the opportunity to add a few specific to the romance genre. The JUST Sites (www.JustRomanticSuspense.com, http://www.JustContemporaryRomance.com and http://www.JustParanormalRomance.com) all have advertising options for every budget. They also offer free guest blogging. thanks for the info. I’ve updated the list with a comment, we’ll see if Booksbutterfly responds. I had a HORRIBLE experience with the guy who runs this company, and I got some of my money back from my credit card. This article is a favorite of mine and so useful! A must read for any author looking to promote their book(s). Budget Bookworm: http://budgetbookworm.com Free and Paid ($5 for email blast insertion, free for website promotion) Also offers paid option to facilitate honest reviews with their review team. Great article, I also found that the people who made my cover offered to advertise my book upon their own website too (it was part of their premier service) at http://www.jdandj.com it’s another angle for authors. http://www.ilikeebooks.com is another site for you to list your book on. 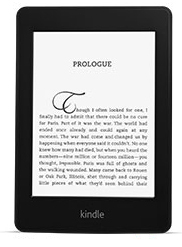 http://NewFreeKindleBooks.com is another site that will list your free and discounted eBook. At http://www.humanmade.net authors, writers and poets can have a dedicated profile page showing their biography and summary of their books, also, each book will have a dedicated page with commenting, rating and sharing capabilities for FREE. If authors want to have a boosted listing, they can enroll in Boost-Your_listing (BYL) and get a special ad that will be displayed across the website based on genre type or other criteria for a minimal fee. Ask David is not free. They have you go through everything letting you believe it is free and then after you hit submit they want you to buy a supporting package before it will be promoted. It is false advertising and very misleading. Thanks for the heads up. Looks like they’ve changed the some things since I last used them. I have a site I would like you to consider adding to your list of book promo sites. BIVRIC is a site that features and promotes self published authors via interviews and book blurbs, I also post articles on marketing self published books. No fees required. I accept any genre and prefer full length books, not novellas or how to books less than 100 pages. Feel free to point self published authors my way if they would like to be interviewed. I’ll certainly check it out. Do you have a regular promo feature that I can link to, or is it just one-off events? I am ALWAYS hunting up new places to advertise my latest releases. Check out James Calbraith’s VERY comprehensive list of websites where you can advertise your next e-book release! Good luck and sell a bunch! For those of you who are wondering about sites to advertise your books, author James Calbraith compiled a list of 90 sites you can use. Some are paid, some are unpaid. A lot of them are useful when you’re having a giveaway as they only promote free books. If you have a new book coming out and you want to get new eyeballs on your name and work, use one of your previous books as a temporary (or permanent) loss-leader. A lot of these sites will come in handy for this. So, if you have wondered about promoting your book, this list should be able to guide you. As far as I am aware, it is the most comprehensive list out there. I could be wrong, of course, but if I am, someone can correct me. At the very least it’ll provide you with options. It’s good to have options. Fabulous list! Also, don’t forget Book Gorilla and Kindle Nation Daily. They are inexpensive and have a good email blast. Oops, I am so sorry! I see you have listed it. My apologies. Would you consider adding http://readingdeals.com to the list? It’s a new free and bargain site launched on July 11! Thanks for the consideration. Also Bookish.com accepts ads from indie authors as well as publishers and other businesses. 1shotpitch.com is a free resource to advertise your book, writer’s blog and more. Yes, good article indeed, I can help and give my 5 cents, I used a few different sites to market my sites and one I can sugges for advertising books, one I used is http://www.boostasite.com It was free and had an Authors category. Wonderful list! Has been a great help in starting my life as a writer. Inexpensive & allowed my book to be featured. A new website where you can promote your Kindle books: http://www.efictionfinds.com. Hi, I have updated now. Thanks for the time you took to compile this list. It is appreciated. I will make sure to give thanks to Rachelle as well. All the best with your writing endeavors. Fantastic, James. Thanks very much.